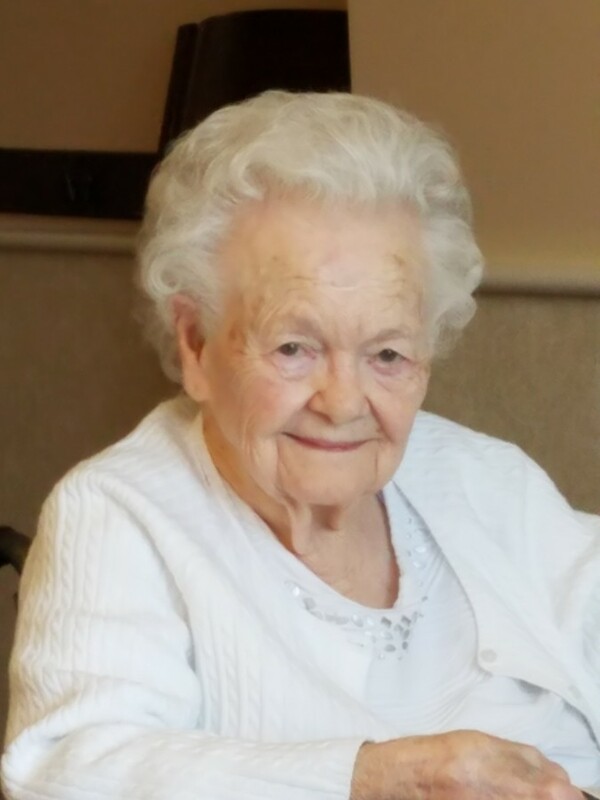 Frances L. Testa, 92, of Oregon, Ohio passed away on Wednesday, November 28, 2018 at Hospice of Northwest Ohio Perrysburg Center. She was born on January 13, 1926 in Springfield, Louisiana to James and Geneva Cain. Frances married Charles R. Testa on July 29, 1944 at Fort Sam Houston Army Air Corps Base in San Antonio, TX. She worked as an office assistant to her husband who was an attorney. Frances enjoyed making neckties for husband and was featured in an article in the Toledo Blade. She was often found spending time sewing, canning and working on puzzles. Frances will be dearly missed. She is survived by her children, Frances (Ronald) Shaneyfelt of Virginia Beach, VA, Charlotte (Gerald) Lammers of Oregon, OH, Charlene (Kit) Bettencourt of Oregon, OH and Charmaine (John) Blaylock of Walbridge, OH. ; 11 grandchildren, 22 great-grandchildren and 2 great great-grandchildren. She was preceded in death by her husband, Charles and 7 siblings. A private Mass was held at St. Joseph Catholic Church for the family. Memorial contributions can be made to St. Joseph’s Catholic Church, 3233 Lagrange St. Toledo, OH 43608 or Hospice of Northwest Ohio, 30000 E. River Rd Perrysburg, OH 43551.